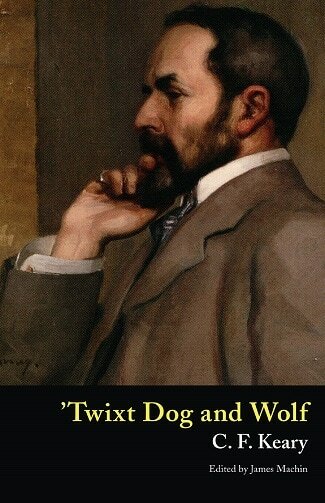 C. F. Keary’s collection of stories and sketches, ’Twixt Dog and Wolf (1901), is one of the rarest and most sought-after volumes in the annals of weird fiction. Collected here are ‘The Message from the God’, a decadent paean to the Great God Pan; ‘Elizabeth’, a tale of witchcraft in medieval Germany that John Buchan called ‘one of the finest witch tales I know’; ‘The Four Students’, a story of black magic and alchemy in the bloody days of the French Reign of Terror; and a series of ten ‘Phantasies’, bizarre and hallucinatory nightmares in prose. Charles Francis Keary was born in Stoke-on-Trent, England, in 1848. A man of vast erudition and multifarious interests, Keary wrote and published in many genres and on many topics, including works on Scandinavian mythology, numismatics, religion, history, and philosophy. He also wrote novels, poetry, verse dramas, and a handful of stories and sketches in the realm of weird fiction, which were collected in ’Twixt Dog and Wolf (1901). This book earned praise from critics and leading writers of the time such as John Buchan and Richard Le Gallienne and is also said to have influenced James Joyce’s Dubliners. Keary died of heart failure in 1917.